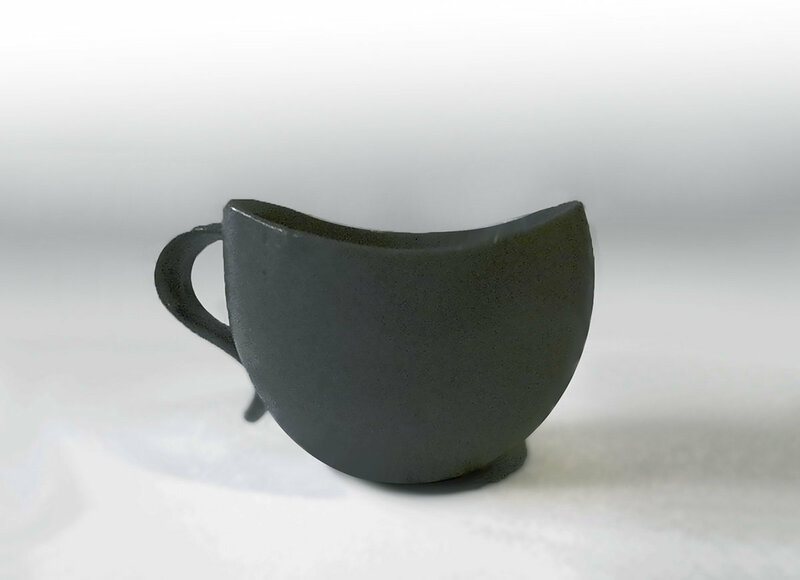 The Curvy Lip Mug is the last mug design by mid-century designer and founder of Andersen Design, Weston Neil Andersen.. Weston was working on this design when he suffered a brain injury. Years later Mackenzie Andersen picked it up and realized that the idea was based on Weston' s classic sugar bowl design. We are now bringing this new mug into the market. The steel gray glaze is a new glaze design which we are developing now. The whimsical curved lip on the mug is scaled down and repeated in the curvy handle as an act of pure joy. Drinking out of a handcrafted mug is an addictive and sensual delight. You deserve it.